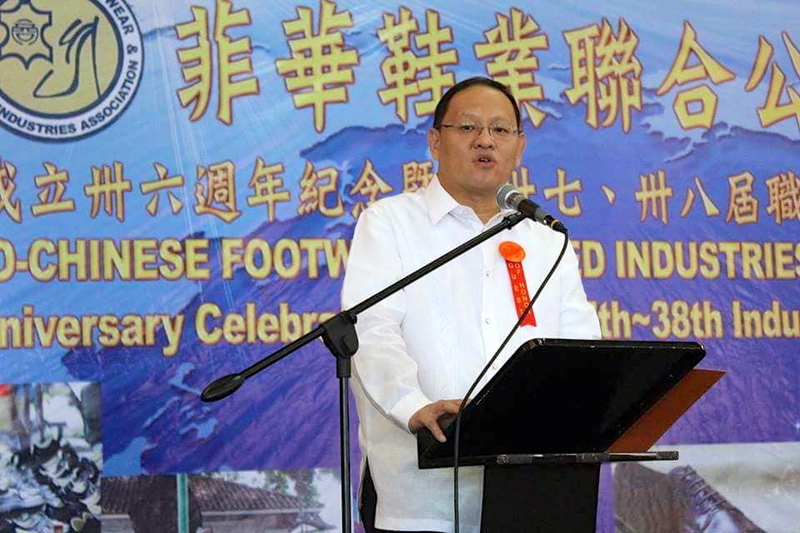 Marikina City is seeing a rise in the number of business establishments that are opening up. Proof of this is the increase in the volume of business permits registration and renewal being handled by the Business Permits and Licensing Office (BPLO) this month when businesses establishment in the city have to renew their permits. Thanks to the efforts of Mayor Marcy Teodoro to improve the business environment in Marikina and make it more friendly and welcoming to businessmen. This week alone, Mayor Marcy signed three new City Ordinances that business establishments will welcome. They include the four-week extension in the renewal of business permits and the grant of amnesty on surcharges and interests on delinquent business taxpayers. 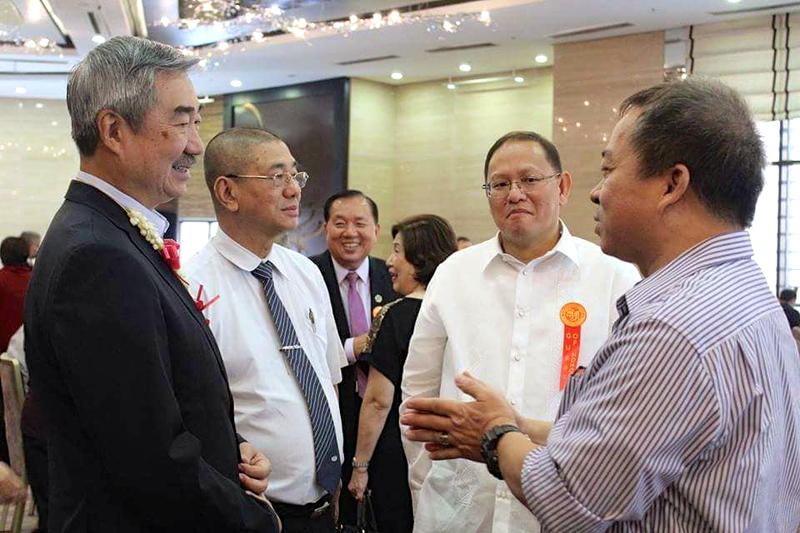 Mayor Marcy said that Marikina cannot afford to extend tax incentives to businessmen and investors, but he assured them of an ideal business environment. “We cannot afford it (extending tax incentives). How can we afford it? But I can assure investors that we will provide the most ideal business environment possible. There is no red tape,” said Mayor Marcy. Entrepreneurs are also impressed by how fast they can get their business permits from City Hall, and the overall way of life in Marikina – an urban center with shopping malls and other modern amenities yet the city still retains its rustic charm, easygoing vibe. They also love its spotless environment that is perfect for walking or biking because of the clean air. Marivic Fajardo, who owns Luxe Lounge with her friend, said what drew them to Marikina was its efficiency. She was impressed by how fast the City Government processed and released their business permit. “Even if it was not part of our original plan, we decided to open the business here. We fell in love with the place. One of the things that really impressed us was the efficiency of LGU (local government unit). Mabilis mabigay ang aming business permit,” she said. According to Atty. Nancy Teylan, head of Marikina BPLO, the ease of doing business is what attracted businessmen and entrepreneurs to Marikina. Atty. Teylan said the City Hall can issue a new business permit in just 15 minutes -- as long as all the requirements have been complied with such as the registration with the Securities and Exchange Commission. This is so since the BPLO has reduced the number of steps it would take to get a business permit. Recently, the BPLO has further made it easier for businessmen to get or renew their business permits by incorporating the barangay clearance fee into the business permits. 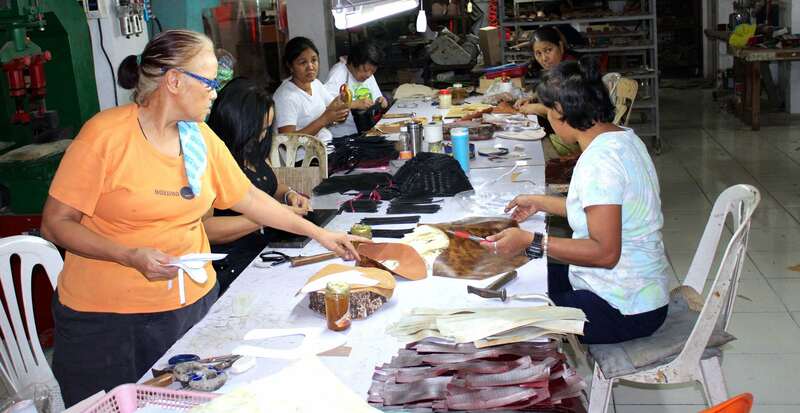 Shoe entrepreneur, designer and maker Tal de Guzman of Risque Designs liked the friendly atmosphere in Marikina and its pool of hardworking and skilled shoemakers. “I moved my life here in 2015. I like staying here in Marikina. It’s a very friendly city. I find my workers in particular very productive. To be honest, I don’t have a problem on tardiness. They are here earlier than eight in the morning. Work starts at eight. Most of the time they are already working before eight,” said Tal. Like Marivic, Tal was also impressed by how fast the City Government had released her business permit. 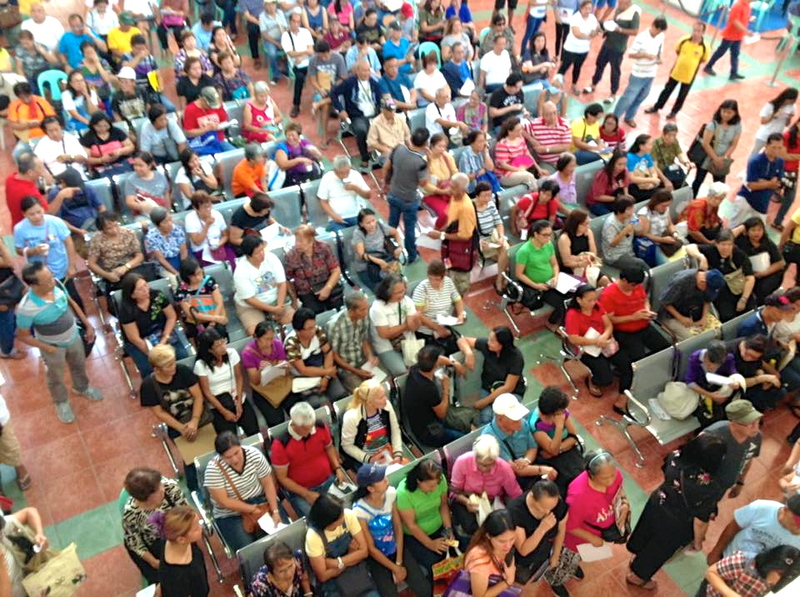 “This is the only city where I can get my business permit in one day and the renewal in less than half a day,” she said. Tal also found it easier to move around Marikina. The cost of living is also cheaper, while the food is tasty with a wide variety of offerings, be it Filipino, Spanish, Italian, Korean, Thai, Japanese, American cuisines. “It’s easy for the people to get around here. The boys who work here at my shop are using their bikes to get to work. Mura ang rent. Masarap kumain. It’s very productive. Everywhere you go, every street, may small businesses na makikita ka. Whether food or sari-sari store. Dito parang magkakamag-anak lahat. It’s a lot friendlier,” she said. “I moved here in 2012 when I had one kid pa lang. For my kid, I wanted a place that is not so near to Manila, where I was born and raised, but a bit far enough that it almost feels like it is in the province,” said Swannie Lim, one of the two owners of Cats & Crumbs, a pet café located at the Ayala Mall in Marikina Heights. “I want my children to grow up in a place in a modern city but with a provincial vibe. Malinis. Tahimik. Hindi masikip. Hindi madami ang tao. Hindi magulo,” said the now mother of two Swannie in an interview inside Cats & Crumbs. International model and jeans designer Derick Hibaler echoed Tal’s views. Derick moved here in Marikina in August last year. 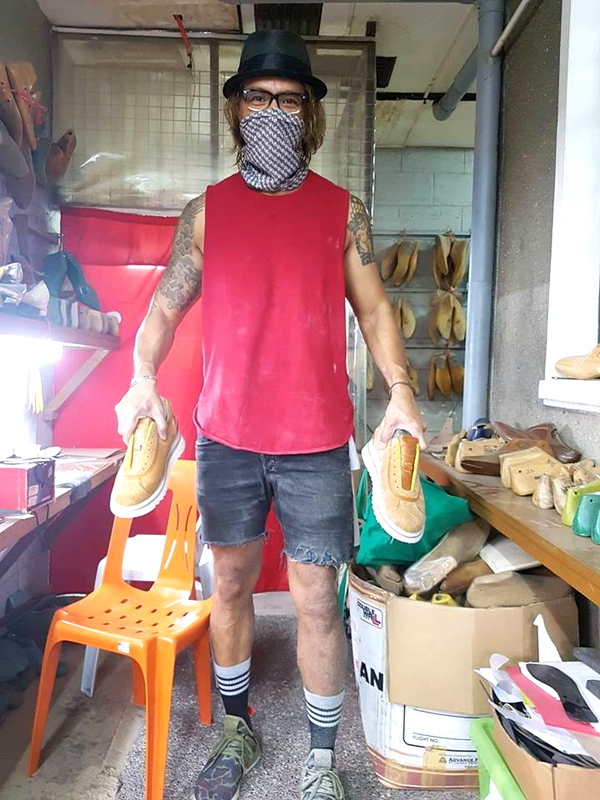 He especially liked the fact that he could ride his bicycle from his flat in Marikina Heights to Zapateria Marikina, where he is currently an artist-in-residence honing his skills in making and designing shoes. “Dito sa Marikina, nakita ko ang workers ni Tal (de Guzman, the shoe designer and entrepreneur mentioned above), they are riding bikes to and from work. Na-realized ko that is is so convenient for me to move here,” said Derick. Derick first trained with Tal before he was taken under the wings of Zapateria. Before deciding to move to Marikina, Derick first stayed at a hotel for two nights and three days just to have a taste of the city. But on his second day, he made up his mind to move here from his apartment in Alabang. “Marikina is welcoming me. It is embracing me. My lifestyle is simple. I am a bike enthusiast. I like riding a bike all the time,” he said.